In order for a business to attract customers it must advertise what it has to offer. Promoting a company with methods such as billboards, television advertisements, and radio advertisements, are a great way to gain awareness. However, attention receive from these promotional methods do not ensure customer loyalty. These methods simply imply that a business does exist and is selling goods or services. The knowledge of a business’s existence and services does not always promise an increase in sales or customer regularity. In order to convince clients to choose your business you have to appeal to them in new and exciting ways. One could suggest that with the increase in advertisements, sales will increase, and by extension, without the appropriate amount of advertising, sales will decrease. It is clear that there is a correlation between the two. However, correlations do not successfully explain cause and effect. If one were to follow the correlation ideology one would draw the conclusion that advertising in general will boost both customer regularity and sales. This is simply not the case; successful advertising does not focus primarily on letting people know you exist. A business must draw the public in by using different methods to create public interest. The best way for local businesses to advertise and create clientele is to appeal to the public in a friendly manner. One method of doing this would be raffle tickets. Raffle tickets have commonly been used by charity organizations and businesses. This is due to the fact that it is a cheap and effective method to directly communicate with the public and gain their interest. Raffling off goods can in turn show the public what you have to offer. It is a hands on approach to advertising that will create a closer relationship between your business and the public. My favorite example of this is my local gun shop, they raffle of a gun every once and awhile and it gets the community talking. If someone can spend 20 dollars to get the chance to win a 1000 dollar rifle it’s a no brainer. This brings in revenue from the raffle and it also brings people in to see what they have in stock. It also creates a more communal environment. Raffling gets the community talking about your business and draws in new customers. There are no limitations to the use of raffling to promote customer regularity and/or sales. If you are selling baked goods you could raffle off tickets for a free customizable cake. The revenue from the raffle may even pay the expenses for your services. If you own a massage business you could raffle off a free massage. Even if you own a business where offering free services is difficult you could raffle off something like a barbeque grill. This will create a chance for you to talk to new people and create potential customers. For example if you own a construction company you may be able to convince the winner of the raffle that they need a new patio to put under their new grill. If they don’t want a new patio it’s not a big deal, they will more than likely spread the word about your company. 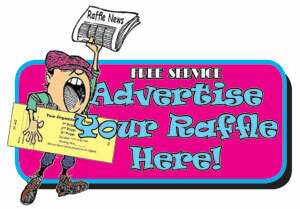 In conclusion raffling is an advertising method that offers revenue while you advertise. With other advertising methods all you do is pay and hope people show up. This hands on approach will ensure public participation in your advertisement endeavors. While giving current customers something to talk about and expand your clientele. It will also create an environment in which customers feel more involved with your business.